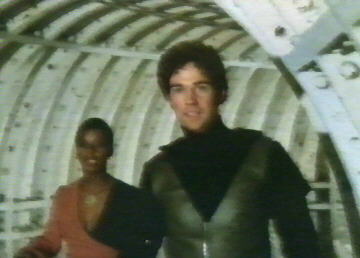 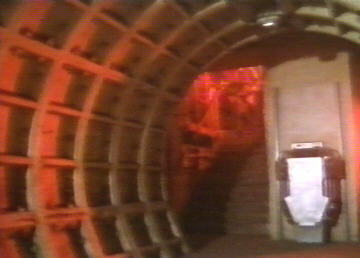 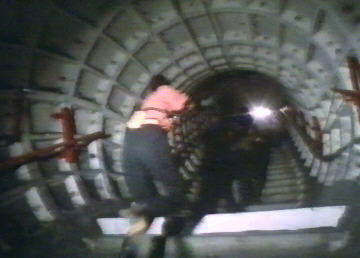 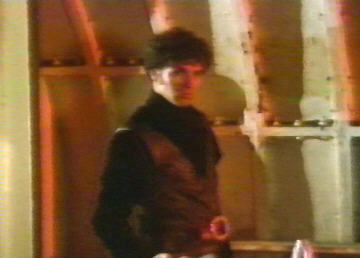 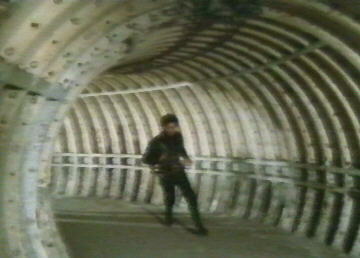 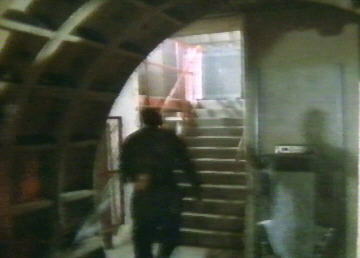 Two years after Doctor Who: The Sun Makers, the Camden Town Deep Level Shelter was again used by the BBC as a location for a science fiction series, this time being the third series of the space opera Blake's 7. 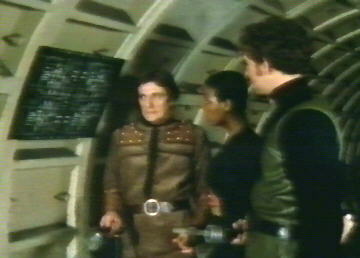 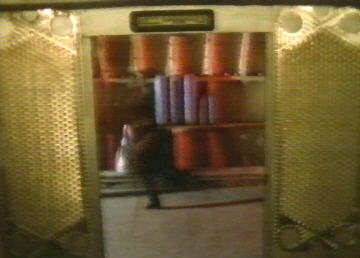 In the episode Ultraworld, the crew of the Liberator discover the artificial planet of the title, which is basically a massive computer. 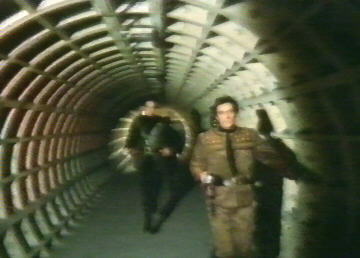 Teleporting down, they find themselves inside the very circuits, represented by the tunnels of the DLS. 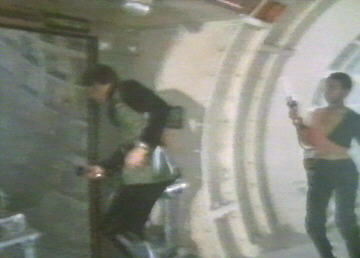 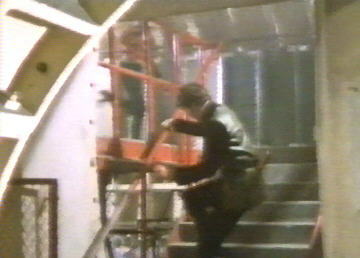 It might look dodgy in freeze-frame, but Blake's 7 always had a better teleport effect than Star Trek!